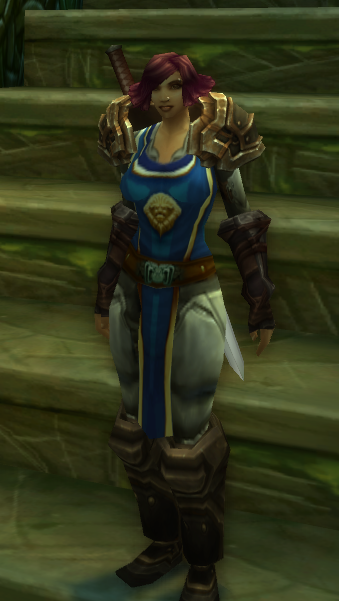 Place of Birth: Streets in Stormwind, Mother was thug. Prior civilian employment: Thug, Thief, Small-time criminal. Civilian Qualifications: Uneducated, decent pickpocketing, self-taught pistol usage. Criminal Record: Murder. Punishment: Last Chance program for 157th. Military Qualifications: Usage of two-handed swords in battle, along with tactics to it. Battle-role: Frontliner, with heavy weapon.